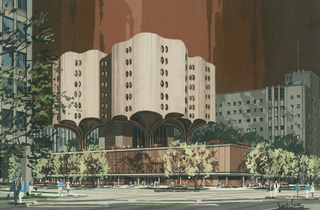 Photograph: Courtesy of the Art Institute of ChicagoBertrand Goldberg, Early scheme for Prentice Women�s Hospital. 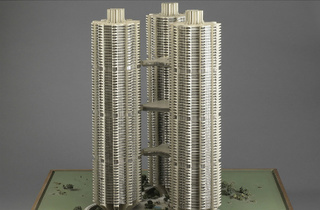 Photograph: Courtesy of the Art Institute of ChicagoBertrand Goldberg; Marina City, Chicago, IL; 1985. 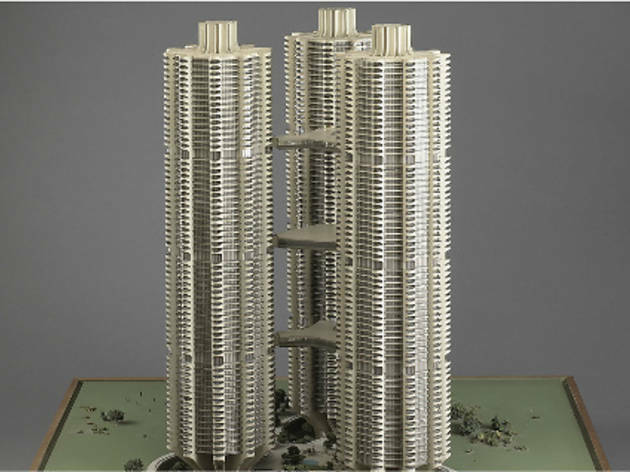 Photograph: Courtesy of the Art Institute of ChicagoBertrand Goldberg, River City model of unbuilt triad towers, Chicago, IL, 1972-79. 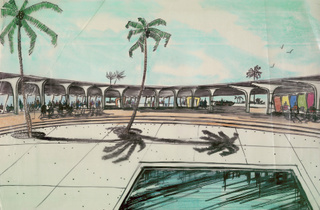 Photograph: Courtesy of the Art Institute of ChicagoBertrand Goldberg; Pineda Island Recreation Center, Mobile, AL; 1956-60. 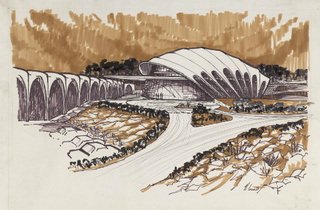 Photograph: Courtesy of the Art Institute of ChicagoBertrand Goldberg, San Diego Theater, 1967-68. 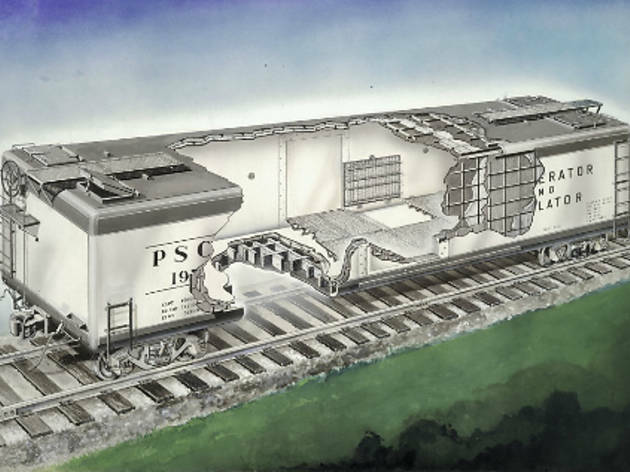 Photograph: Courtesy of the Art Institute of ChicagoBertrand Goldberg, Unicel Plywood Freight Car for the Pressed Steel Car Company, cutaway view, 1949-52. 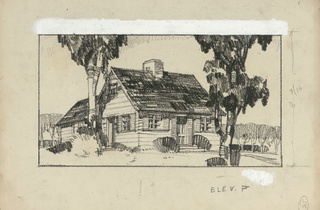 Photograph: Courtesy of the Art Institute of ChicagoBertrand Goldberg, Standard Houses, c. 1937. 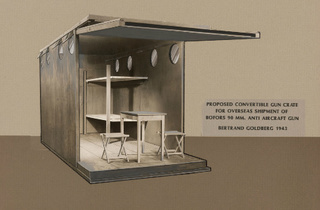 Photograph: Courtesy of the Art Institute of ChicagoBertrand Goldberg, Convertible gun crate, 1943. 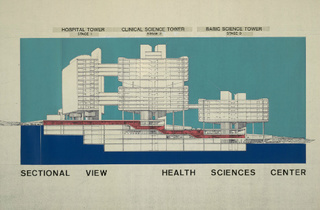 Photograph: Courtesy of the Art Institute of ChicagoBertrand Goldberg, Health Sciences Center, sectional view, 1969-74. 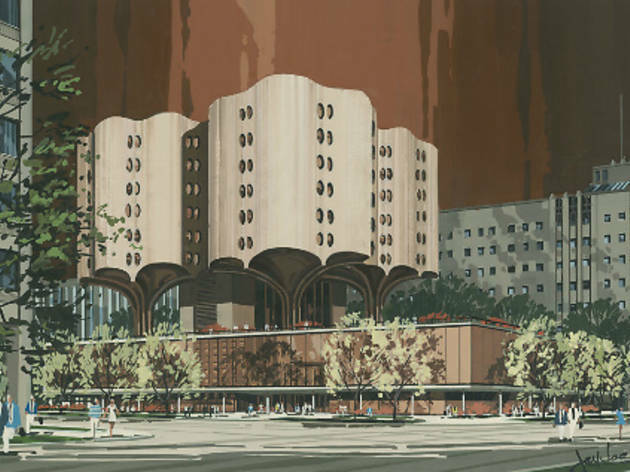 As preservationists clash with Northwestern University over the fate of Bertrand Goldberg’s Prentice Hospital (333 E Superior St), the Art Institute of Chicago, which owns the Chicago architect’s archives, opens “Bertrand Goldberg: Architecture of Invention” September 17. 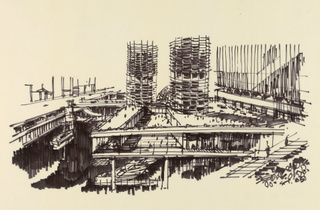 The exhibition revisits 63 of Goldberg’s projects, including iconic Marina City. 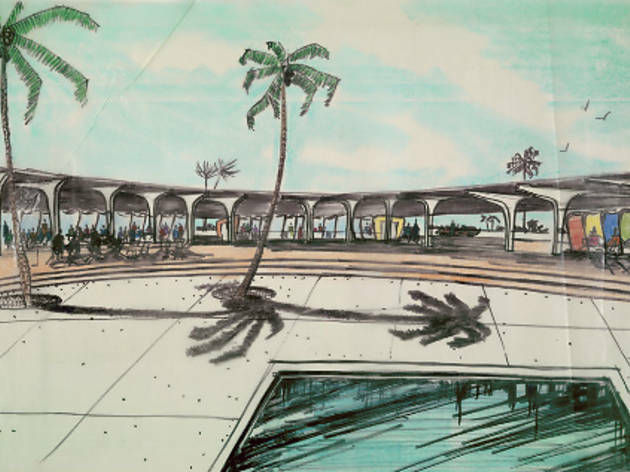 Cocurators Alison Fisher and Zoë Ryan, from the museum’s Department of Architecture and Design, talk about the retrospective. 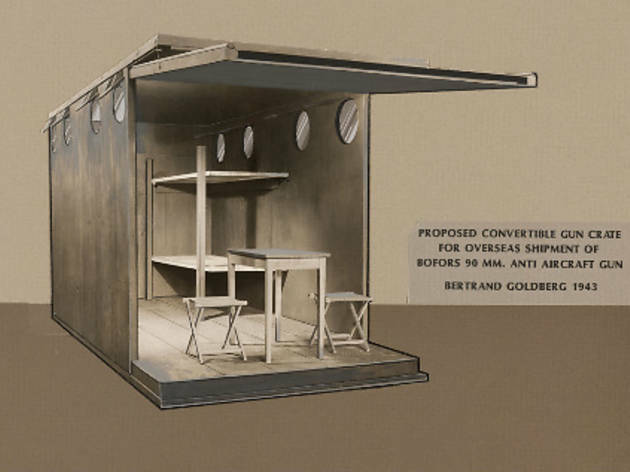 What makes Goldberg relevant to a contemporary audience? AF His dedication to a practice that moved across scales and tried to intervene in multiple fields is something today’s designers are doing. ZR Goldberg was at the forefront of so many issues that we still grapple with. 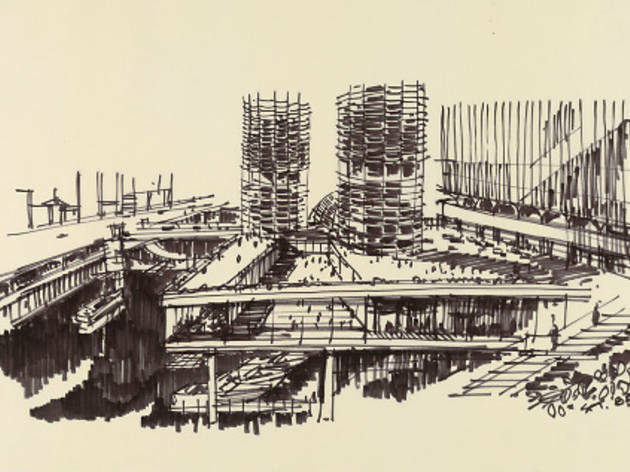 What does “mixed-use” mean? What’s the relationship between living in a high-rise and having access to outside space? 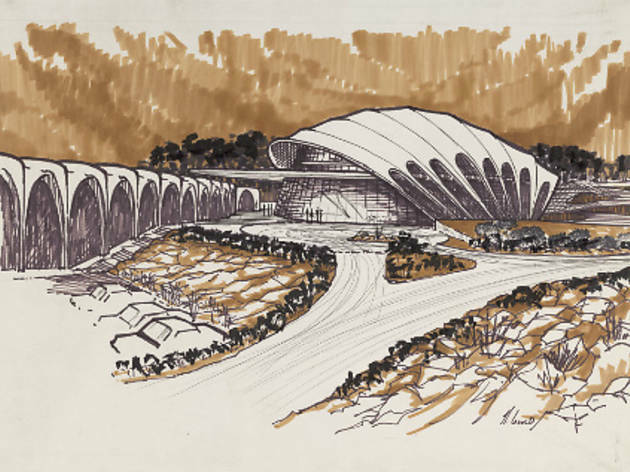 [This is a question] Jeanne Gang grappled with when she worked on Aqua. 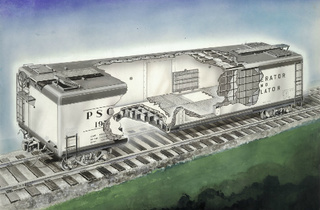 How is “Architecture of Invention” unique? 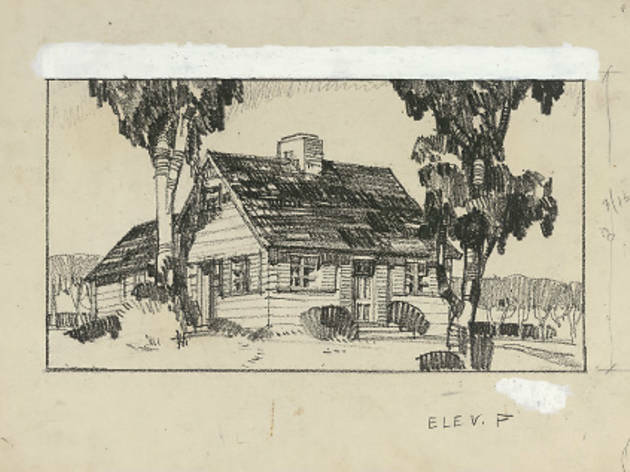 ZR There have been a couple of exhibitions on Goldberg, but none featured original drawings, models or his furniture.… I think it’s important to show the breadth of his practice. 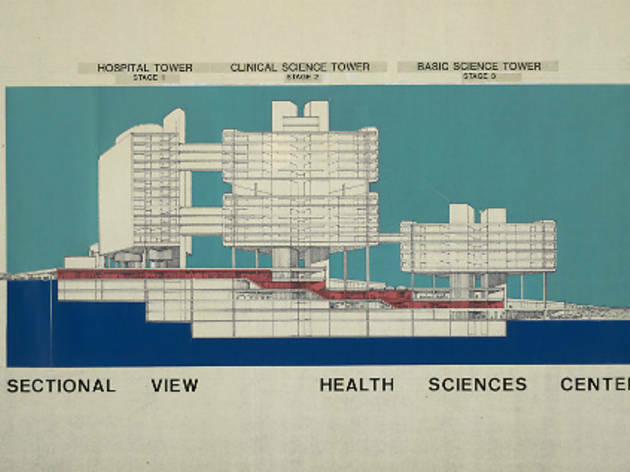 He’s become so synonymous with Marina City, but he did furniture, hospitals, all the way up to urban planning. I didn’t know he designed furniture. ZR He was quite cheeky. The steel chair that he developed is bigger than a one-person chair, but smaller than a two-person chair. So it’s a comfy seat for two people who would be seated very tightly together. He was thinking about fostering new relationships to everyday objects.